Maybe the judge could have come down harder on Tonawanda Coke, but the sentence he imposed on the company and its disgraced former environmental controls manager is going to hurt and it will be surprising if others contemplating or committing such reckless pollution don’t take notice. U.S. District Judge William M. Skretny was clear in his condemnation of the company. Calling Tonawanda Coke’s conduct “singularly inexcusable,” he ordered the company to pay $24 million and sentenced Mark L. Kamholz, the now-retired environmental controls manager, to a year in prison. While some community members and other advocates were understandably disappointed that the penalties weren’t harsher, Skretny sought to strike a thoughtful balance between making an example of the company while not driving it out of business. However revolting and dangerous the company’s actions were, it remains an employer whose jobs are valuable. The sentence was creative and could help those who believe they were harmed by toxic pollution from the plant to bolster their civil lawsuits against Tonawanda Coke. The first part of it is a $12.5 million criminal fine for its actions in willfully releasing toxic chemicals into the environment as well as improper handling of hazardous waste. In addition, Skretny required the company to pay another $12.2 million to cover two environmental studies. One of them, the Tonawanda Health Study, is an $11 million research initiative by the University at Buffalo’s School of Public Health and Health Professions to look into the effects coke oven gas emissions have had on the Tonawanda and Grand Island communities. The company’s lawyer complained that residents could use that information for lawsuits that would further penalize the company. He’s right, and isn’t that fine? The answer was for the company not to have done what it did. Now it’s time to pay the price. 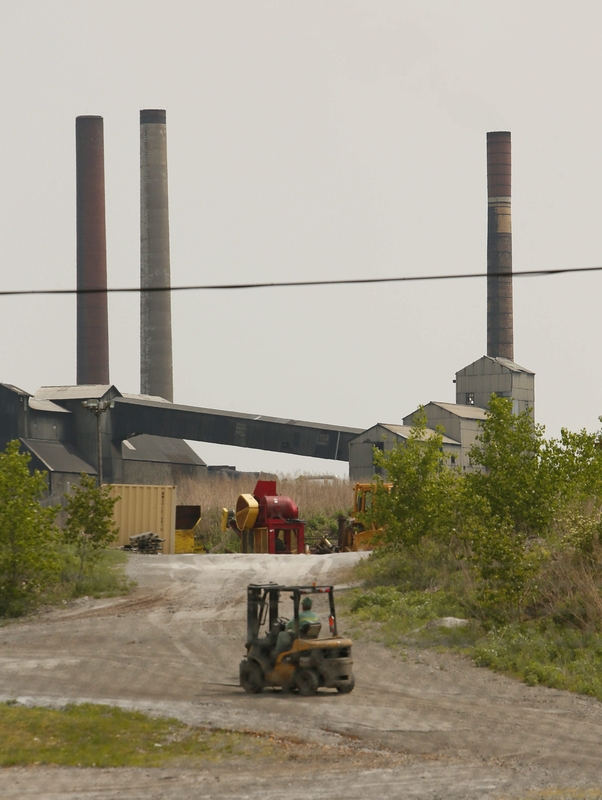 The other study that Skretny ordered the company to fund is a comprehensive air and soil investigation of particulate material from Tonawanda Coke’s foundry emissions, focusing on neighborhoods immediately surrounding the plant. The price tag on that study is $711,000. Few people would have complained if the judge had ordered the company to pay twice as much, but Skretny has shown himself to be a wise jurist who pays attention to all the relevant issues. His decision is plausible, defensible and deserving of support. Had he fined the company into receivership, it still wouldn’t have made such a mark that no other company would ever dare flout the nation’s laws against pollution. Criminals think they won’t be caught. And just like individual people, companies can be selfish, greedy and reckless. If they weren’t, we wouldn’t need these laws in the first place. On Wednesday, Paul A. Saffrin, the company’s CEO and grandson of its founder, offered a clear and direct apology. Kamholz also expressed what seemed like sincere remorse. That and $25 million plus some prison time will help to balance the scales.